H2D (Hair2Day) seem like a fairly new brand with an impressive reputation. Their website is helpful and lists some useful technical information but gives almost zero information about the company and brand itself. The brand looks promising though as they specialise in hair styling products and have an international presence. First impressions are pretty good with this wand. 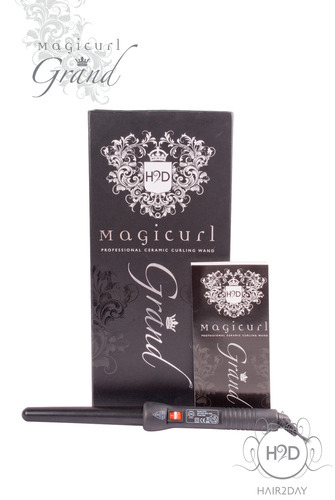 It’s presented really nicely in a sophisticated looking box and the design of the wand itself isn’t garish or over-the-top. 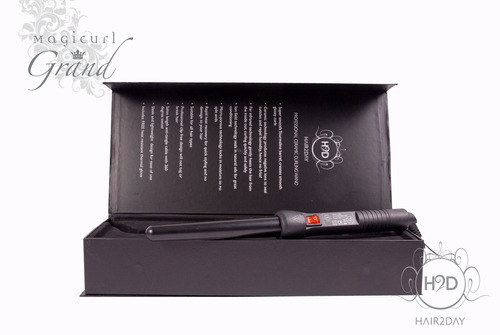 It’s a slightly tapered barrel which helps to give really natural looking curls and is jet black. The barrel is Tourmaline which emits negative ions and makes hair silky and shiny with hardly any time on the barrel. 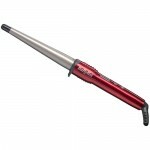 It’s very smooth so it can take a bit of effort to get hair to stay where you curl it round but it does work. Its micro-porous technology is designed to lock in moisture instead of drying out your hair and hair certainly does feel super soft and healthy afterwards. 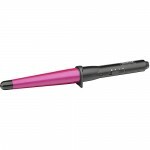 It heats up really quickly and evenly and once you’re used to the technique of a curling wand, you can curl your hair really fast. The curls last a long time too which is always a good thing. You can also easily create waves if that’s the look you’re going for. The one shining downside of this otherwise brilliant curling wand is that it doesn’t have variable temperature. It’ll heat up in under a minute to 220˚C and stay there – which is a problem. If you have delicate or fine hair, chances are 220 degrees will just be too hot and could risk damaging your hair. This is a really strange thing for the brand to leave out as they specifically say on their technology page on their website that it’s vital for heated hair appliances to have variable temperature. It has an LED to show when it’s ready to use along with a lengthy cable and a 360˚ swivel connection. 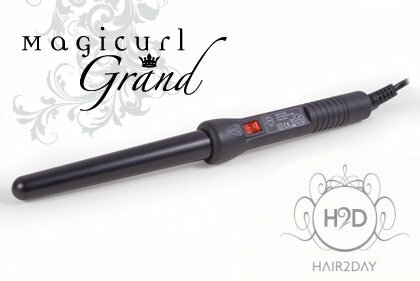 This is a nice curling wand that gets really pretty results fast and the curls and waves stay for hours, even into the next day. 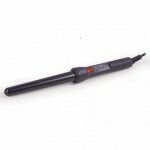 This curling wand does a great job on long, thick hair and would probably do a great job on medium hair too. If you have delicate, fine or sensitive hair then the 220˚C temperature will possibly be too hot, even with the infrared and ion field technology. It’s not particularly reassuring that they should state the importance of variable temperatures but then not act upon it either. 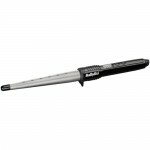 Compared to major brands with bigger reputations, this curling wand is pretty pricey. It is very effective and easy to use but the price difference may put some people off. On the whole, I like this one a lot but I’m not convinced it’s any better than some of the other, cheaper wands.